CreativeLive is the online school for artists and entrepreneurs. In this review I'll share what I learnt when I signed up for Jeff Goins Starving to Successful course and I'll also suggest tips to decide if you should sign up to more classes in this CreativeLive review. CreativeLive is the brainchild of Chase Jarvis, based on his own preferred method of learning: total immersion by throwing himself into the deep end. You can use CreativeLive using your PC or device and take in the classes at your own pace. What Kind of Classes Can I Expect to Find on CreativeLive? There are lots of classes available, depending on your interests. If you're looking for a fast-track way to reach your goals you can try Learning Paths. These tried and tested pathways have been put together with the world's best classes to help you land your next big gig. "How to Become an Author" will direct you through a solid marketing plan to start writing your success story today. I've been following Jeff Goins for a while now and was really interested when I saw his course Starving to Successful pop up. Jeff Goins turned his blog from $200 into a thriving six figure business within his first year going on to write five bestselling books. In his course Jeff Goins delivers strategies and action within 22 lessons to enable you to move up the path of profitablity with your writing..
Goins workshop contains extra materials in the form of PDFs to help on your way to $10K per month. 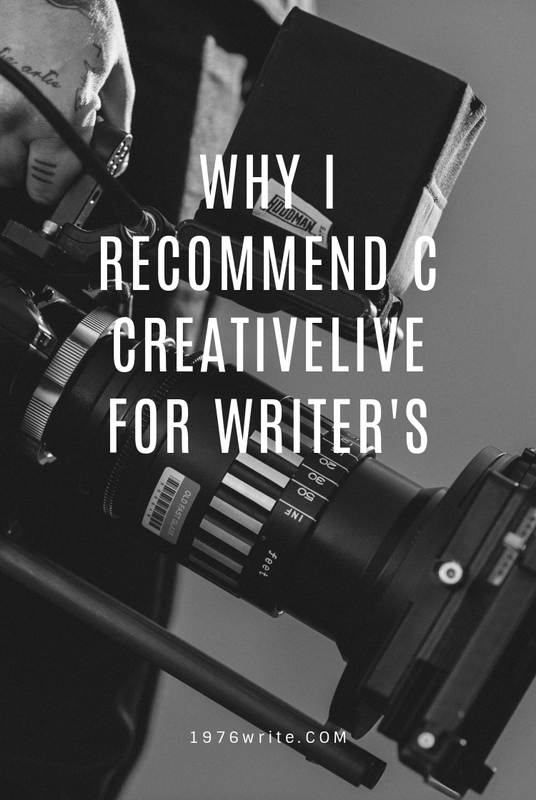 What CreativeLive Course Should I Take? If studying online sparks you're interest, you've probably been through the CreativeLive class library. Jennifer Louden will show you how to get your writing done, Melissa Cassera will teach you how to write addictive content and Tim Grahl will show you how to sell your first 1,000 books. Unsure about what CreativeLive class to take as yourself, "Do I like what this course tutor has to offer?" CreativeLive classes range from $50 to $300, and courses are often discounted. They also offer bundles which include multi-classes these can be as low as $45 to $800 depending on the bundle you choose. All courses are on a scheduled basis offering special conferences on categories such as social media or business. Along with a steady stream of offers and sales on all of their classes. You don't have to watch the live lecture you can watch all classes in your own time. Each class offers different materials which usually come in the form of a PDF which you can easily download. I love the flexibility of CreativeLive, not being tied down to watch a live class and being able to come back to my course whenever I want. You get first-class production values when you watch a class on CreativeLive. The quality of the lesson materials was good to. You can always find fresh material from people at the top of their craft like "Lisa Cron who teaches storytelling". In contrast you can spend thousands of dollars on an MFA. Or a couple of hundred dollars on online writing classes that are tailored to your particular needs. Your learning can start for as little as $30. The only downside with CreativeLive was that you can't download the videos directly onto to your PC or laptop. Other than that I found no other problems with CreativeLive. 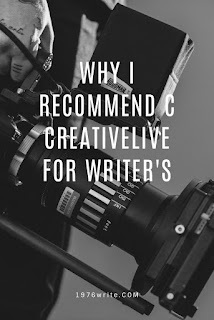 I recommend CreativeLive to all writer's with or without a budget. Choose a class and see if it's for you. With a modest amount you can start investing in your craft and you can learn from the very best without investing thousands of dollars. For beginners and professionals alike who are looking to further careers but want to keep learning from the master craftsman in their chosen field. Try CreativeLive today.